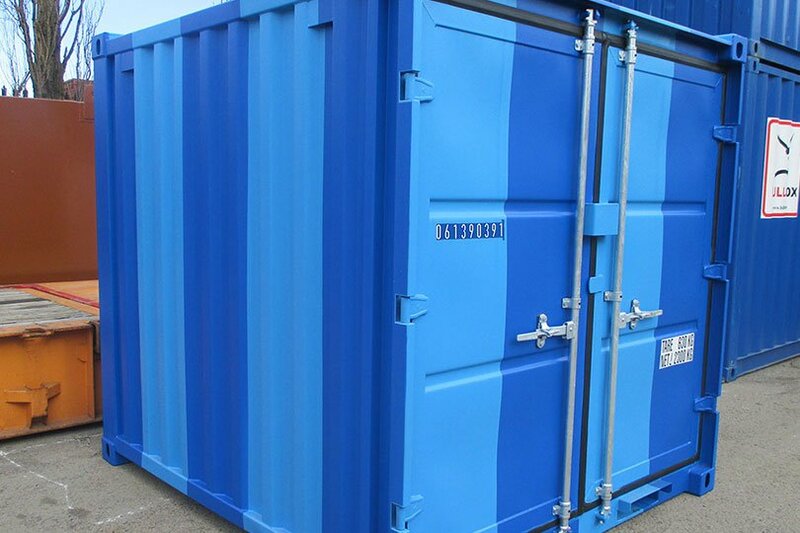 We sell all types of shipping containers from 10ft to 45ft. We cut them down to size and paint them in and out. 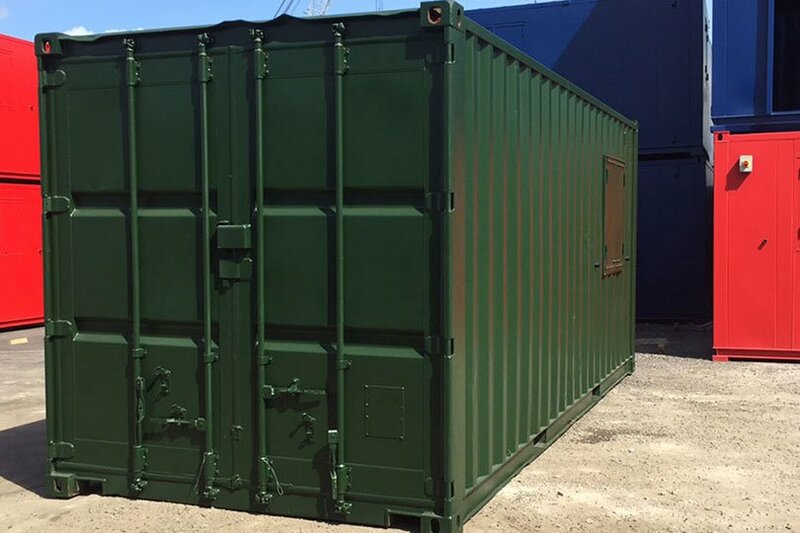 We have new and used shipping containers in stock, including containers with fully opening 20ft sides (pair of bi-folding doors). We sell welfare units, offices, canteens, drying rooms etc like the HIRE units in menu above, both new and used. 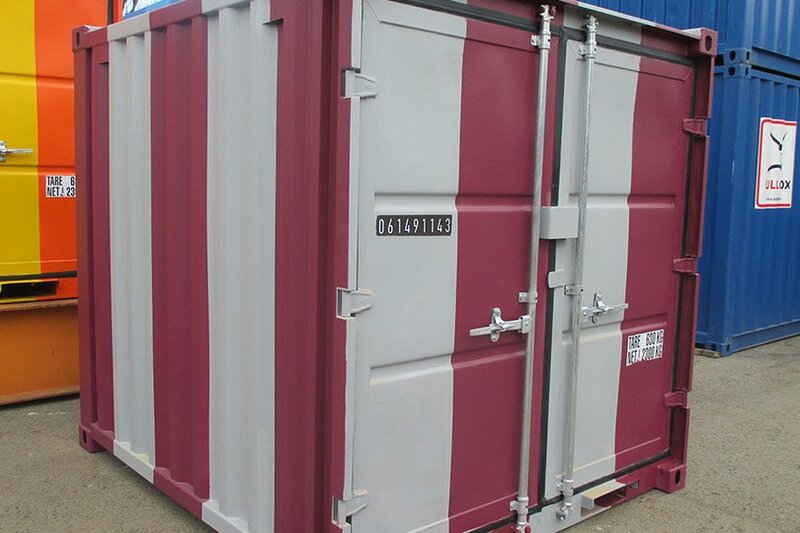 We sell insulated containers and odd sized containers built to order. 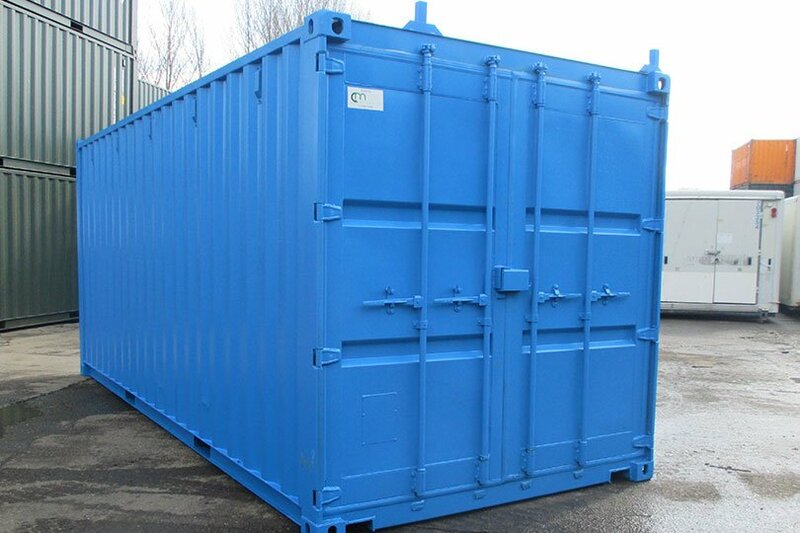 All our containers for sale or hire are delivered by lorry/ lorry and trailer/ artic. with hiab crane for self-offloading on site. Please ask for any type of unit or size subject to being transportable. And in any RAL colour or colours (see our colour chart here). 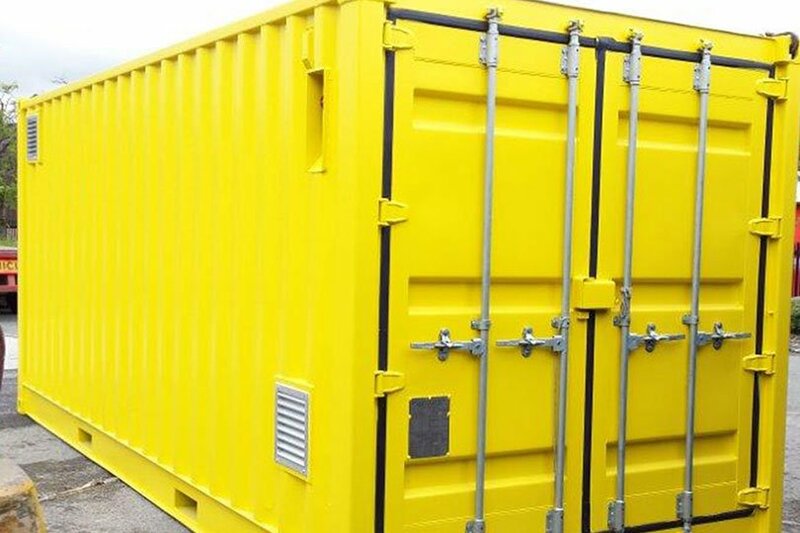 If you’re interested in buying a shipping container, please make sure to read our Terms and Conditions of Sale. We take a lot of pride in our containers, both new and used. 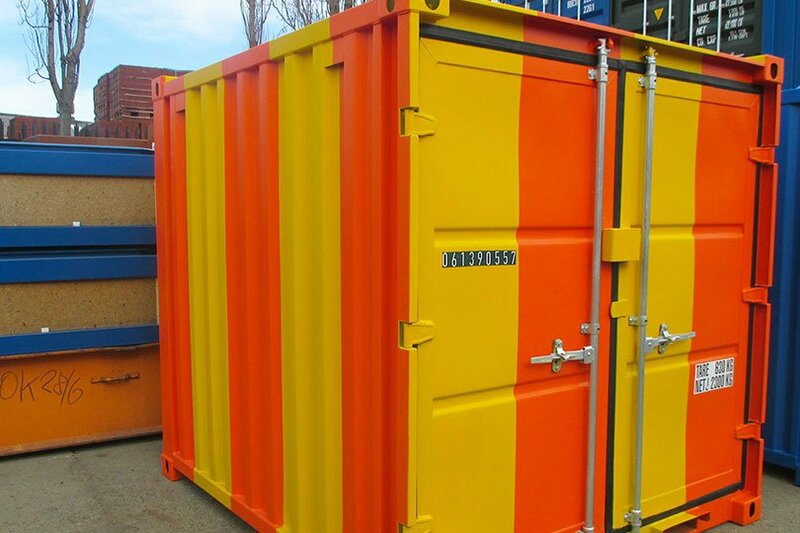 We want to make sure you buy a shipping container in tip-top condition with great options and vibrant colours. 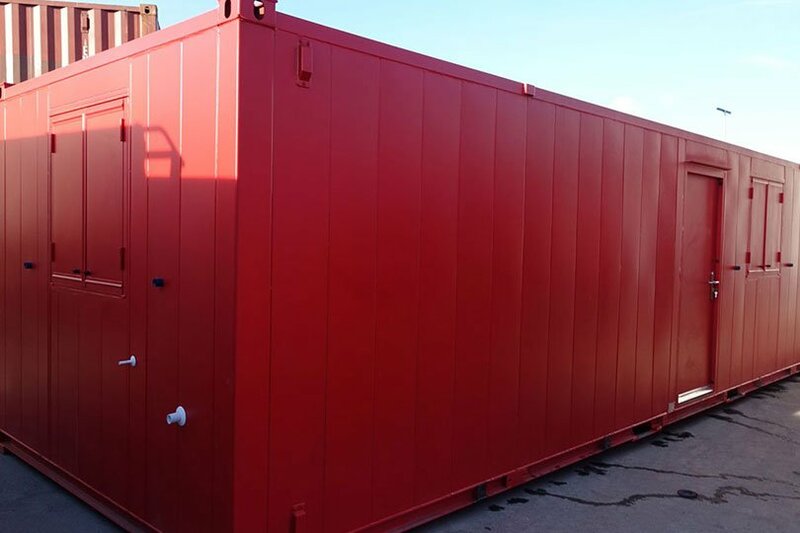 Below are a few images of some of our coloured shipping containers, simply click or tap on any of them for a larger view. If you’d like to see some more images, why not have a look in our gallery here.